Juan Diego Florez, Decca’s “dashing tenor, the king of the bel canto repertory” (New York Times) now joins the illustrious list of tenors to record an album of ever-popular Neapolitan and Italian songs, including some in arrangements made for his idol and mentor Luciano Pavarotti. All the classic favourites are here – from O Sole Mio to Arriverderci Roma, Mattinata and Non ti scordar di me – and to breathe fresh life into this well-known music, many of the songs have been newly arranged to evoke the feel of an authentic Neapolitan café band. For these, Juan Diego is joined by the star mandolin player Avi Avital and acclaimed accordionist Ksenija Sidorova. Best-selling guitarist Craig Ogden also joins Juan Diego for two songs. To complete the full Italian flavour, these recordings were made in the Italian seaside resort of Fano, just south of Pesaro where Juan Diego makes his summer home – as Pavarotti did before him. For the orchestral tracks, the Pesaro-based Filarmonica Giacchino Rossini is conducted by the gifted young Italian Carlo Tenan. 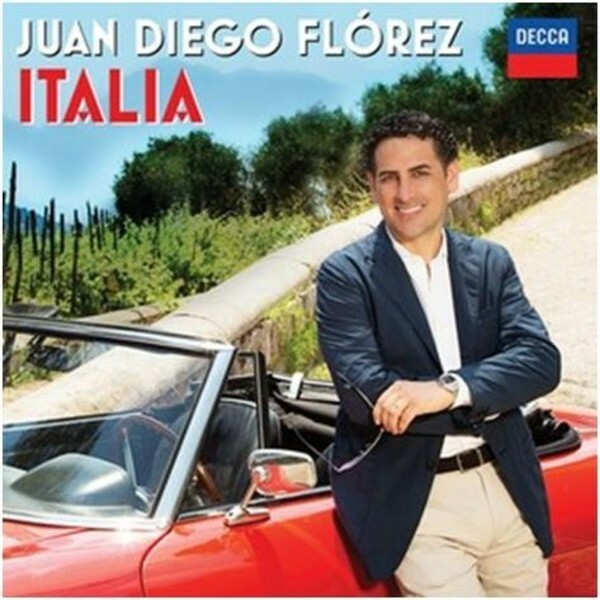 This album perfectly complements Juan Diego’s first disc of popular songs ‘Sentimento Latino’ which sold in excess of 80,000 copies. The Peruvian and Latin American songs on that album have a strong connection with the older repertory of Neapolitan song. Both showcase Florez’s uniquely distinctive sound: ‘His elegant, focused tone rang out clean and clear, with his famous high register – the money-notes for a tenor of his distinction – not just firm but flamboyant’ (The Guardian).